Sky Sports will remain the home of Spain's La Liga for another three seasons thanks to a new broadcast agreement announced today. The announcement follows weeks of strong competition between Sky and BT for the rights. At the weekend, newspapers had gone as far as saying that BT had won the rights. 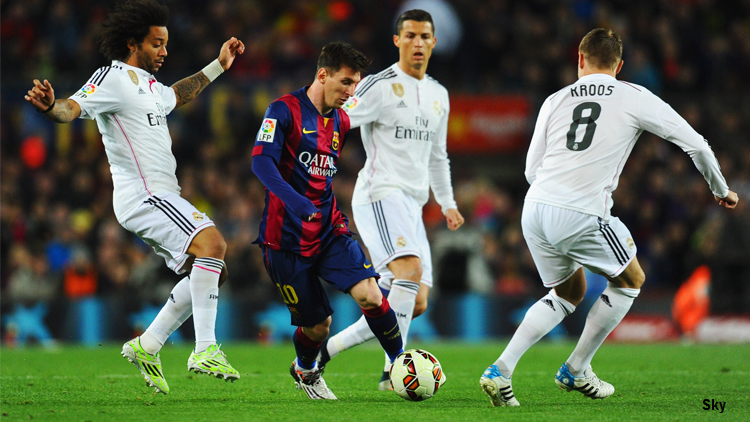 The agreement extends the partnership between Sky Sports and La Liga into its 20th year. As usual viewers will be able to watch the games on mobile or tablet via Sky Go. NOW TV customers will be able to access Sky Sports from £6.99 a day, £10.99 a week or £31.99 a month. Sky Sports is set to get even stronger for customers following 36 new rights agreements in the last 18 months. From 2016, Sky Sports will be bringing customers even more Premier League football plus The Open golf from 2017, as well as international and domestic cricket from the ECB and a new five-year partnership with the RFU. Sky Sports' unrivalled football schedule includes 116 matches from the Premier League, 127 matches from the Football League, Capital One Cup, UEFA Euro 2016 and FIFA 2018 World Cup qualifiers, Scottish Football League and Scottish Cup, America's MLS and Eredivisie. "Sky Sports is the leading sports broadcaster for the UK and Ireland and we are delighted to continue our partnership with them for another three years. La Liga has a huge global fan base and by renewing with Sky Sports, the agreement provides us with the best possible way to showcase our league, our teams and our players to our UK and Irish audience."